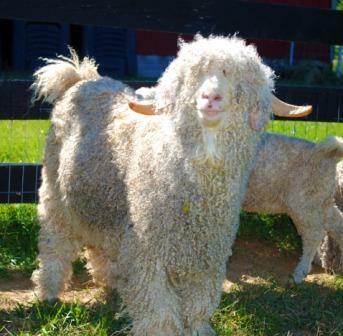 Jack is Susie’s Angora herd sire. Isn’t he handsome? Milkshakes doesn’t know it yet, but this gorgeous hunka – he – goat is going to be her booty – call in about a month. I just can’t resist. They are going to make some super – cute mutt kids, let me tell you. In other news, the chickens have apparently gone on strike – I am getting one egg a day – two if I am lucky. I imagine it’s because we went from brutal heat to low 40’s at night in the blink of an eye. Of course today it’s like 80 out there.